If your an Enfield Town FC fan here is your chance to own a genuine piece of history regarding the club and it's all in aid of the very worthy cause of the @HelpforSam charity appeal. Please click on the below link to the ebay auction for a Number 22 Rudi Hall Testimonial Shirt which at present is priced at £20 with just over a day left to go. 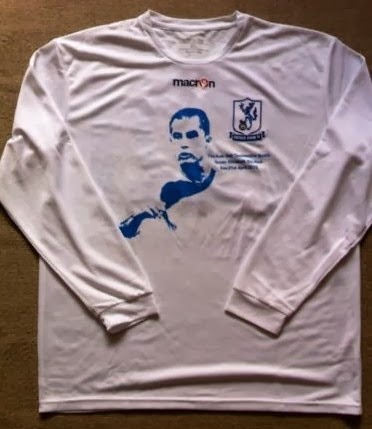 ....or you can click here to see all the other collectable items available to raise funds for the Help For Sam appeal which includes an Enfield Town FC away shirt. All money raised goes to help Sam who has Cerebral Palsy. He needs funds to help him walk, study & lead an independent life. A very worthy cause indeed.